The Research and Technology entity or Thales (TRT) totally dedicated to Research, answers the stakes inferred by the environment of the Research in the advanced technologies. To assure the meeting between the headways of researches and the needs of operating units, to prepare relevant demonstrators, to exploit the new technologies in the systems and the Thales products, such are the stakes in TRT. Create the conditions of an optimal technological insertion to bring the technical and technological differentiator to the offer of Thales. [http://socket.imag.fr/], Scalopes, Interested, FlexTiles [http://flextiles.eu/]). The High Performance Computing Lab mainly works on high performance multiprocessors and accelerators but also on the related design environments to help programming these multi/manycores. These technologies will be the heterogeneous equipment of the future distributed systems. TRT intends to efficiently build agile and predictable Cyber Physical System (CPS) through a Design Space Exploration (DSE) mechanism. The underlying results will be exploited to design different kinds of distributed surveillance systems. 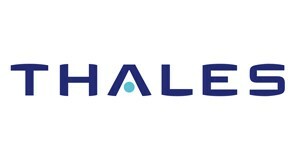 Thales is the coordinator of the project and is the leader of the overall low-power image processing platform description, the interfaces definition between hardware, software and tool chain and the implementation rules definition. It contributes to the hardware instantiation by selecting the appropriate components and the appropriate communication media. It also contributes to the use case description, integration and validation by providing a medical imaging use case and implementing this application on the proposed instance. The dissemination, exploitation and pre-standardisation activities are shared between all the partners and Thales particularly focuses on covering and making events and encouraging both communication and dissemination.  Synective is a design house and expert company on both embedded and server based heterogeneous systems. The company has a focus on finding efficient structures for heavy computations and complex algorithms, to build efficient systems in terms of power, size and cost. FPGA and GPUs are two of the key technologies used. Synective works, and have worked, in many technology areas although vision technology and image processing is one of the largest, especially for automotive and medical applications. The company was founded in 2003 and has today 24 employees. 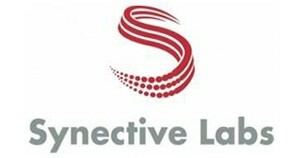 Synective have earlier participated in the EU project Scalalife [http://www.scalalife.eu], contributing with efficient implementations of biotech algorithms on GPUs and FPGAs. Synective Systems AB will take the lead on the implementation and verification work of the three use cases. Synective will also bring its expertise in the automotive vision use case, based on many years of work within that field. Overall, Synective will contribute on heterogeneous systems design, algorithm adaptation to that kind of systems, and design and implementation work on FPGAs and GPUs. The Technische Universität Dresden is with about 36.000 students one of the largest “Technische Universitäten” in Germany. Since 2012 TU Dresden belongs to the “Universities of Excellence” in Germany. TU Dresden participates with the Chair of Adaptive Dynamic Systems (ADS). The research of the ADS chair is focused on reconfigurable computing, networks-on-Chip (NoCs) and memory hierarchies for multi-core architectures, methods and algorithms for application parallelization, simulators and virtual platforms for application- and architecture exploration, hardware/software co-design and runtime systems. Typical application domains are e.g., signal-/image processing, advanced driver assistance systems (ADAS), Industry 4.0 or robotics. TU Dresden will contribute to the development of techniques and tools to distribute the image processing application on the heterogeneous Tulipp architecture. Its involvement will include contribution towards the communication between the components (CPU, GPU and FPGA) including the IP development for On-chip and Off-chip communication. TUD will also be the leader of dissemination, exploitation and pre- standardisation activities. NTNU has proved to be an attractive partner, both on its own and together with its on-campus neighbour, SINTEF, which is Scandinavia’s largest independent research institute. NTNU is involved in over 120 projects funded by FP7. The contributing departments, Department of Computer and Information Science (IDI) and Department of Electronics and Telecommunications (IET), are the two largest entities at Faculty for Information Technology, Mathematics and Electrical Engineering (IME), which has an annual turnover of 65 million Euros with about 20 % of its research being externally funded. IME has about 550 employees in total, of whom about 160 are professors/associate professors. Among its 430 registered PhD students some 60 % are of foreign nationalities. With 65% of the country’s ICT students enrolled, IME has great influence on and responsibility for new information- based industrial developments and development within other areas of society, which apply information and communication technology. The IME-faculty has defined a small number of cross department strategic research initiatives. Staff in the Tulipp project are leading participants in the active and successful initiative on Energy Efficient Computing Systems (EECS), which also is one of seven groups at NTNU that receive special support towards Horizon 2020 participation. EECS takes a vertical approach to energy efficiency, and thus has expertise in hardware platforms, tool development, and application implementation. This fits very well with the requirements of Tulipp and at the same time the Tulipp results will greatly increase the knowledgebase for student education and future research projects. Norges teknisk-naturvitenskapelige universitet NTNU will lead the tool chain instantiation, including the basic and final tool chain development, and the analysis model. 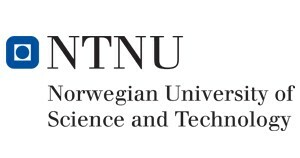 NTNU will also participate in defining component tool interfaces. Based on the required innovation processes, NTNU will take responsibility for disseminating the results generated in the project to both the scientific community and the general public through international conferences, journals and magazines. Furthermore, the gained expertise in the developed platform and tools will be exploited in future research as well as in a potential consultancy spin-off company. Created in 1997, Efficient Innovation is a French consulting company specialised in the field of innovation management with a vision of the whole innovation value chain, from opportunities generation with strategic creativity, to concept transformation into innovation projects, market studies and opportunities building, funding of the innovation projects through direct and indirect funds for companies. 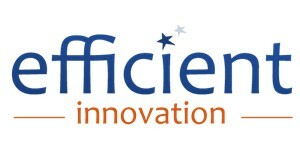 EFFICIENT is specialist in European framework programmes since FP5, FP6, FP7 and has built up many European projects. 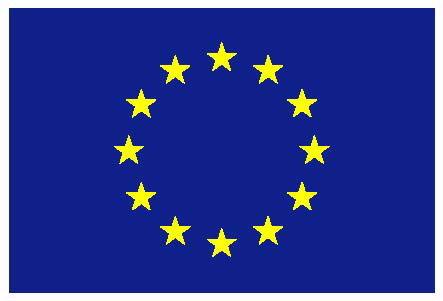 EFFICIENT offers services of European project management to its customers with is know-how and knowledge of FP European mechanisms, consortium agreement management, grant agreement management, dissemination activities. Efficient is also a specialist in industrial product design-to-cost, design-to-weight and life cycle analysis. With a team of 40 consultants, EFFICIENT covers the full innovation management process. Efficient Innovation SAS will bring its expertise in marketing studies and writing up associated industrial business plans for further exploitation of the project results. Efficient Innovation will also assist Thales in its role of Project Coordinator contributing to the project day-to-day management, coordination and communication tasks towards the Tulipp consortium and external parties. 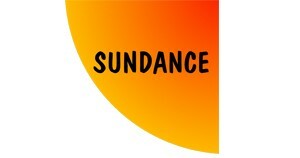 Sundance will introduce the TULIPP platform as a general purpose, flexible and modular form-factor for integrating High Performance Computing into the low-power domain with a focus on applications in the Autonomous domain. 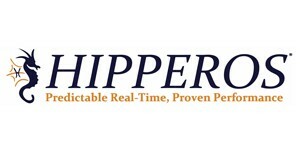 HIPPEROS specializes in software for real-time and embedded systems requiring high performance and high reliability. It develops and markets the HIPPEROS (High Performance Parallel Embedded Real-time Operating Systems) multicore RTOS. Contrary to existing RTOS, HIPPEROS was designed for optimal scalability to take advantage of new parallel platforms. HIPPEROS supports highly critical applications that need to perform under constraints (SWaP), and thus where optimality of resource usage, such as low power and reduced footprint, is important. These applications cover fields such as aerospace, avionics, transportation, robotics and medical devices. Within TULIPP, HIPPEROS is the leader for runtime, API, libraries and real-time operating system (RTOS) development and instantiation. HIPPEROS will thus provide the reference middleware and RTOS implementation for the TULIPP platform. It will also contribute to the requirements regarding RTOS and low power in the reference platform definition, support the hardware and tool chain instantiation, and perform testing, validation and normalization in the dedicated work packages. HIPPEROS will exploit the results by marketing the RTOS system and of course disseminate the results by providing scientific papers, demonstration and marketing material. The Fraunhofer-Gesellschaft undertakes applied research of direct utility to private and public enterprise and of wide benefit to society. 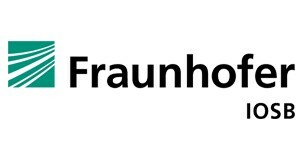 The Fraunhofer-Gesellschaft is the largest organization for applied research in Europe with more than 60 Fraunhofer Institutes and other research units at different locations in Germany, over 23.000 employees and an annual research budget of over € 2.0 billion. The core competences of the Fraunhofer Institute of Optronics, System Technologies and Image Exploitation (IOSB) in Karlsruhe, founded in 1956, are in the three domains of image interpretation, control systems, and information and communication management. In the area of image processing and analysis, IOSB is the focal research institute of the Fraunhofer-Gesellschaft. Fraunhofer Gesellschaft Zur Forderung Der Angewandten Forschung EV will have two main contributions to Tulipp. First it will be the leader of the hardware instantiation. Second, it will be responsible for the second use case. Moreover, it will actively participate in many other work packages with its expertise in system engineering, design the distributed system, algorithms and systems for image exploitation and Unmanned Aerial Vehicles. Additionally Fraunhofer IOSB will bring surveillance and reconnaissance systems which operate different types of video sensors on several mobile and stationary platforms, different video sensors as far as systems for sensor data processing.